Thomas Hartley Cromek was the son of the engraver Robert Hartley Cromek. He was educated at the Enoch Harrison's School in Wakefield, he then attended the Moravian School at Fulneck, and the Grammar School at Wakefield, before he eventually returned to Harrison. Cromek's first lessons in art were from James Hunter, a portrait painter at Wakefield, but in 1826 he went to Leeds where he studied landscape painting under Joseph Rhodes. In 1830 he decided to go to Italy to study the great masters. He passed through Belgium, the Rhineland, Switzerland, Florence and then reached Rome. Here he soon attracted attention by the excellence of his drawing and his careful colouring. 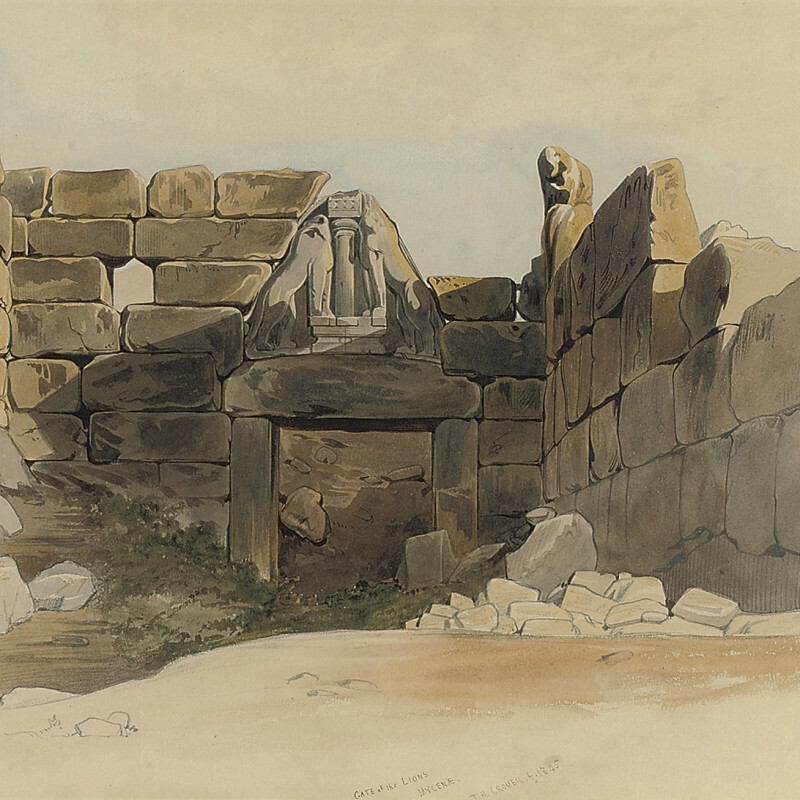 From 1831 until 1849, with the exception of two short visits to England, Cromek passed his time visiting and making drawings of the principle buildings and picturesque scenery of Italy and Greece. In 1860 Cromek was unanimously elected an Associate of the New Society of Painters n Watercolours.